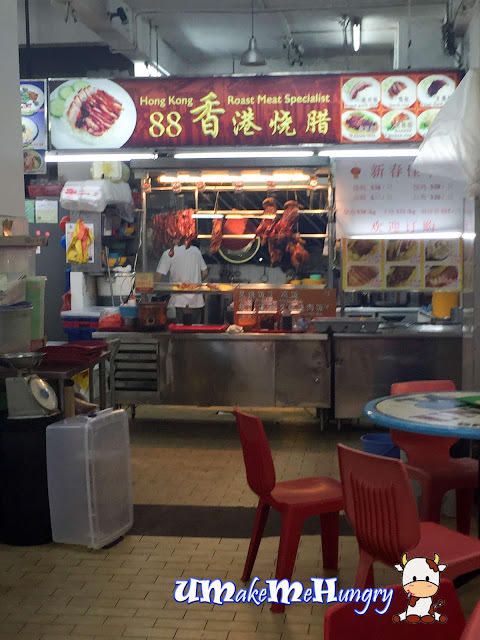 Someone raved about the delicious Hong Kong Roast Meat in Bukit Batok and I immediately thought that he was mentioning about the stall in Bukit Batok's industrial estate. This is the 2nd time having dinner from them with the first round being "Tabao" back home without actually looking at the stall. 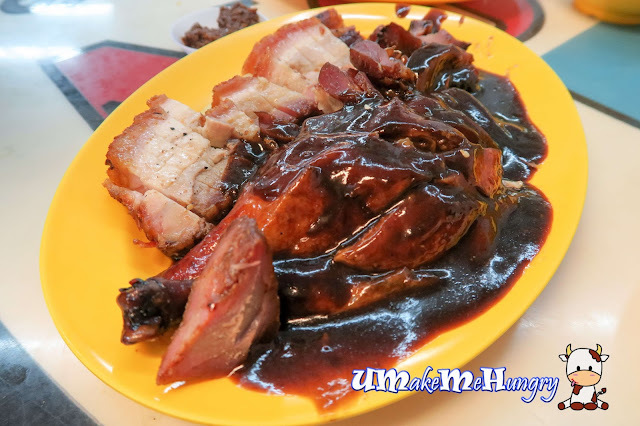 My return to the physical stall was triggered by the urge of their impressive Char Siew Meat which I thought thought was remarkable in the neighbourhood and their generous gravy was something I look upon to. Noodles were sold out and we have a meat platter consisting of BBQ Meat (Char Siew), Roast Pork and Roast Duck. The advantage about dining in is that, customers get to self help with the gravy from the pot themselves. 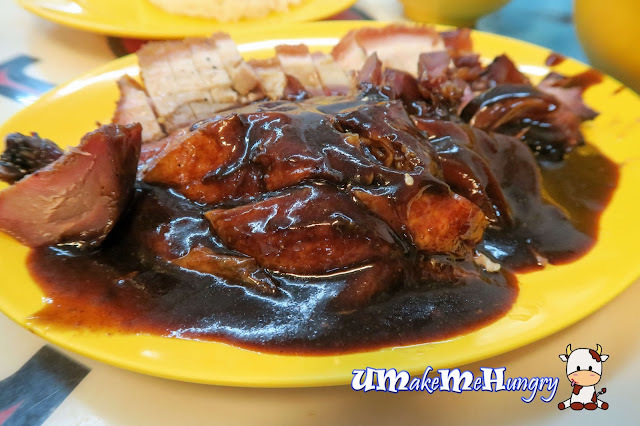 Char Siew Meat was commendable as it was not too oily and it was also not to the extreme of using lean meats and ending up compromising its texture. Instead, the meat had good consistency of charred flavours and rights amount of fats. Having braised sauce drench over the duck meat was awesome! Skin was crispy and absolutely fragrant without being too greasy, for extra kick, dab them into the spicy chilli given. Though with distinctive layers of fats and meat on the crispy roast pork, it did not really suits me as I find them on a dry side. Since roast meat was their specialty, I believe this is a one time off thing and since most probably I will be back again in the day time for another try! 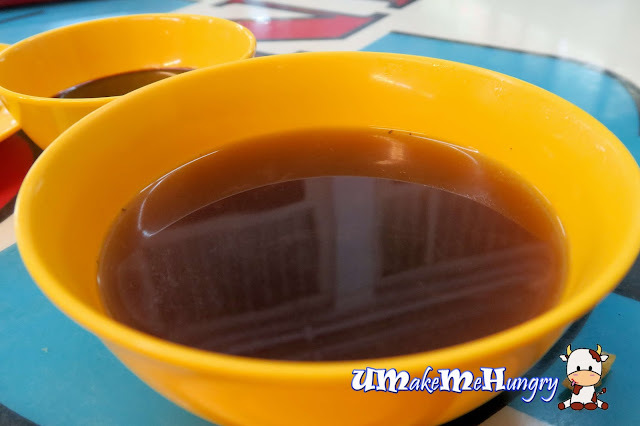 Herbal Soup was accompanied with the roast meat platter and was not too bad. Overall, it feels great to have another good roast meat option in Bukit Batok! I will be back for their noodles for sure!